Hands up if you like Gingerbread? Me too! 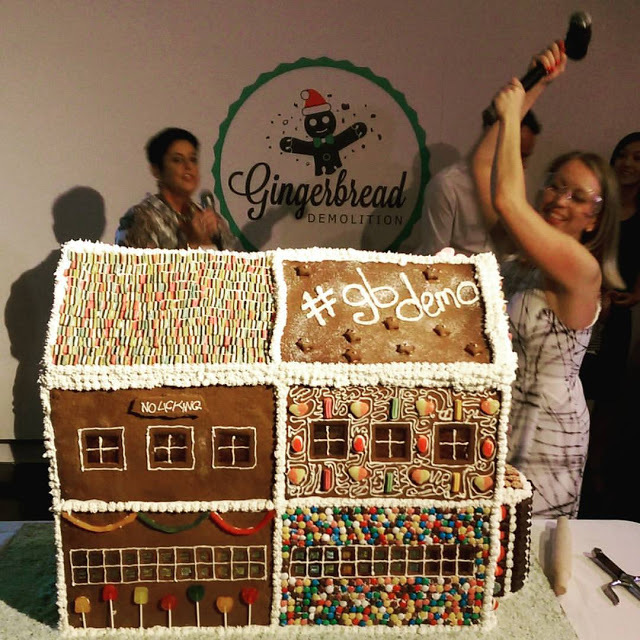 Recently I met Jeanette, the founder of The Gingerbread Demolition, in an online Facebook group and just had to find out a little bit more about this interestingly titled event. Hi Jeanette! What have you been working on today? Hi Amy and dessert lovers! Today has been great – but hectic. In between meetings and deadlines at my day job in digital banking, I’ve been speaking to sponsors, posting and monitoring social media for the Gingerbread Demolition, and organising an outing with Save the Children next week, where we will decorate gingerbread men with about 40 children! How did The Gingerbread Demolition start? Believe it or not it began as a house party in 2011. Each year it would get bigger and bigger and it out grew the house. – we ended up with about 80 people in our little two-bedroom apartment! 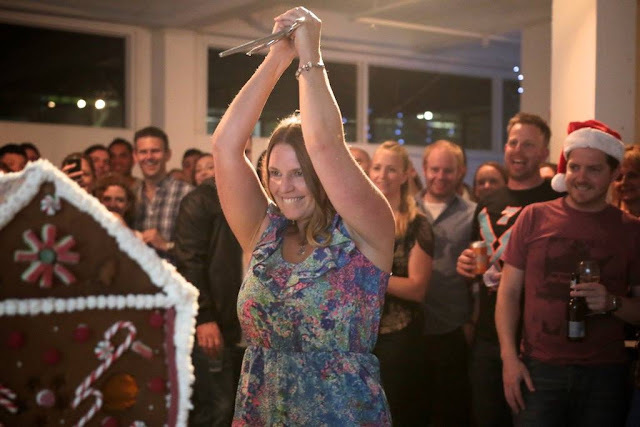 Everyone wanted to smash the gingerbread house and I ended up having to raffle off the honours. 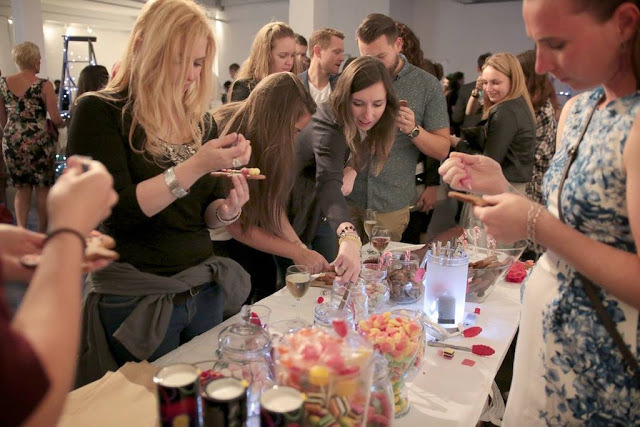 What once was a little party has grown up to be to a not-to-be-missed charity event in December. Tell us a bit more about the event. The Gingerbread Demolition is a Melbourne charity event and this year we’re supporting Save the Children Australia’s Cubbies program. Cubbies, based in Fitzroy, provides a safe place for vulnerable children to play, learn and grow, with trained youth workers on hand provide mentorship and support. Cubbies also supports newly-arrived asylum seeker children and their families with mentorship, social inclusion and education through play. We know that migrant and refugee families often feel isolated when they arrive in a new country, so this is our way of showing them that Australia says ‘welcome’. 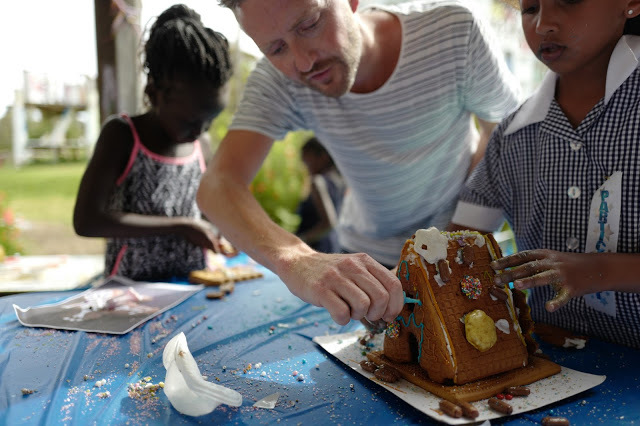 Save the Children Ambassador, Stephen Curry, decorating gingerbread houses with the children at a recent visit to Cubbies in Fitzroy with The Gingerbread Demolition team. 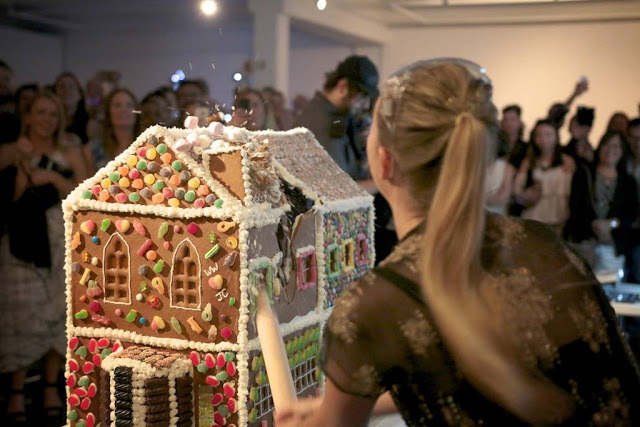 What can one expect at The Gingerbread Demolition? On the night, it’s a chance to unleash your inner child – decorating cookies, smashing gingerbread and eating delicious food. We’ll feast on gingerbread from baking superstars Dessert Parlour, Cupcake Central, Miss Trixie Drinks Tea and Hawthorn Common, enjoy sweet and savoury treats from social enterprise food truck Crêpes for Change and Goldilocks Lunch Box, and sip on an exclusive Gingerbread Cocktail from our friends at 1000 £ Bend. Plus an awesome live music line-up, including Melbourne swing vocalists, Lady Midnight. It kicks off at 7pm on Saturday 10 December and your ticket includes food all night, two drinks, entertainment and of course – your chance to smash the giant house! Where can we get tickets from? 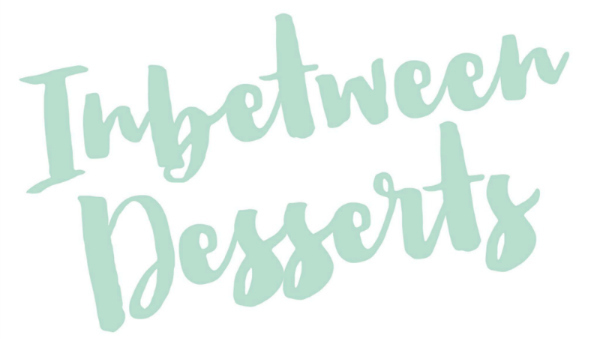 You can purchase tickets here and we’d like to offer your readers a sweet little discount by entering INBETWEEN on checkout. The internet is the best way to search for your ideal apartment. You do not need any technical skills to search for information. Important aspects that you need to consider are as below. Such an amazing charity event and I hope it was a grand success. Couple of months ago, I arranged my brother’s music event at a lovely event space Chicago and decorated venue with something unique décor! It was a memorable event.